A nightclubber was falsely charged with assault after a former soldier died in police custody, a court has ruled. Humberside Police officers wanted to "deflect potential criticism" over the death of Falklands veteran Christopher Alder, Sheffield County Court heard. 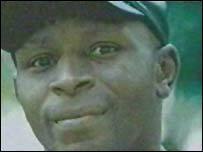 Mr Alder choked to death at a Hull police station on 1 April 1998. Jason Paul was awarded £30,500 damages after a jury heard he tried to stop a fight between Mr Alder and another man on the night the ex-paratrooper died. Mr Paul was arrested on suspicion of murder the next day when he reported to police voluntarily as a potential witness. He was subsequently charged with GBH with intent before the Crown Prosecution Service accepted in June that he had nothing to do with the tragedy. The two-week civil hearing, which ended on Friday, was Mr Paul's second attempt at claiming false imprisonment and malicious prosecution against Humberside Police. In 2003 a judge dismissed the case on the grounds there was no factual evidence of police deceit, but the Court of Appeal overturned his ruling and ordered another trial in March of the next year. The eight-strong jury ruled in favour of Mr Paul on a series of questions posed by the judge. They agreed unanimously that it was "more likely than not that the police charged (Mr Paul) with causing GBH with intent to deflect potential criticism of the circumstances of Christopher Alder's death". They also decided by a margin of seven to one that it was "more likely than not that the instruction to arrest for murder was given to deflect potential criticism of the circumstances of Christopher Alder's death". Outside court, Mr Paul said: "I am relieved that after eight years my name has been cleared. "A jury of my peers has publicly recognised that I was wrongly arrested on suspicion of murder and then charged for GBH with intent because the police needed a scapegoat to avoid potential criticism of the circumstances of the death in police custody of Christopher Alder. "I wish the Alder family success with their continuing fight for justice against Humberside Police." Five officers - Sgt John Dunn and Pcs Neil Blakey, Mark Ellerington, Nigel Dawson and Matthew Barr - were cleared of Mr Alder's manslaughter and misconduct in 2002, even though an inquest had concluded that he was unlawfully killed. At least four have now retired. Humberside Police were refused permission to appeal the verdict, but could petition the Court of Appeal directly. A spokeswoman for the force said: "We are now considering the full implications of the case and will contemplate our future legal position." In 2004 a BBC TV programme featured CCTV footage of Mr Alder dying with his trousers around his ankles, while a group of officers chatted nearby. His sister, Janet, has led a campaign to have a public inquiry set up to investigate her brother's death.